The first three products that caught my eye were the bath bombs. I'm addicted to bath bombs so I was pretty excited to see these included. The Lord of Misrule Bath Bomb is one of my all time favourites and gives off a herby and peppery scent that I just love. Sparkly Pumpkin is a relatively new addition to the Halloween scene and I've only tried it once before. It's a bit of a glitter bomb so watch out, but the fruity scent makes up for it. Monsters Ball Bath Bomb is a new addition this year as far as I know, but it smells delicious. It has a bit of a zesty scent to it and I have a feeling it'll make for some gorgeous bath art. 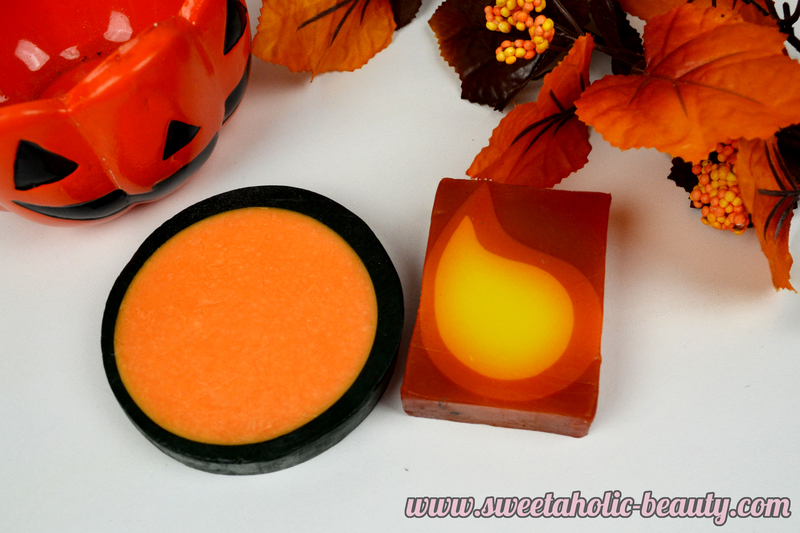 There were also two new soaps this year, both of which are completely new to me. The soap that really stood out to me was the Magic Wand Soap - purely because of how large in size it is! The scent was actually really strong too and was very fruity, which is perfect for the warmer months! I have to say it's been one of my favourite scents so far. The Fireside Soap was also really appealing to look at as it looks just like a cute cartoon flame. I loved the smell of this one as soon as I opened it too. It was more on the sweet side and had something I couldn't really put my finger on, but smelt great nonetheless. I was a bit intrigued by the Goth Fairy Shimmer Bar as I wasn't exactly sure what I was meant to do with it. As far as I can tell it's meant to be similar to a moisturiser, but adding shimmer to your skin. It smells amazing and has a bit of a citrus kick to it. 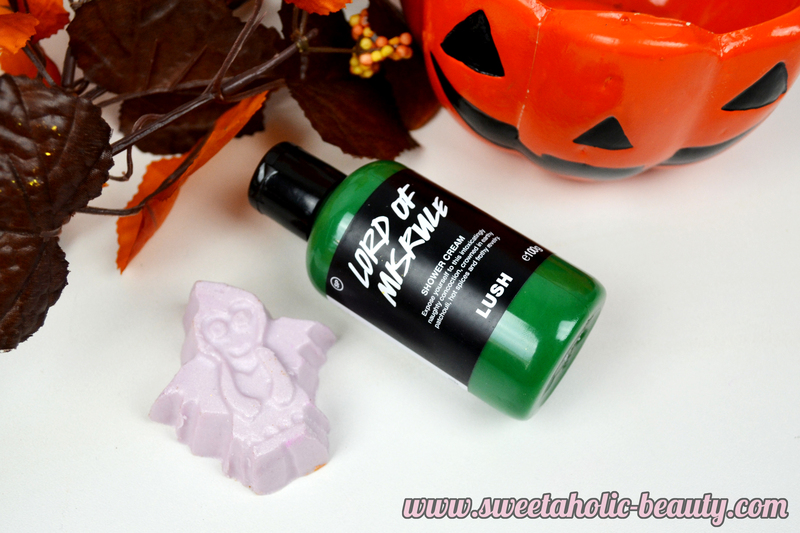 And of course - the Lord of Misrule Shower Cream, one of my favourites. Since Twilight has been discontinued (that being my absolute favourite shower product) this has been my go-to instead. Wow, what a collection? I'm super impressed with everything this year. I'm delighted to see the return of Lord of Misrule, particularly in shower cream form, as well as some favourite bath bombs. I'm sad to see no return from Twilight but will forever be hopeful. Have you picked up anything from this collection? If so, what are your thoughts? 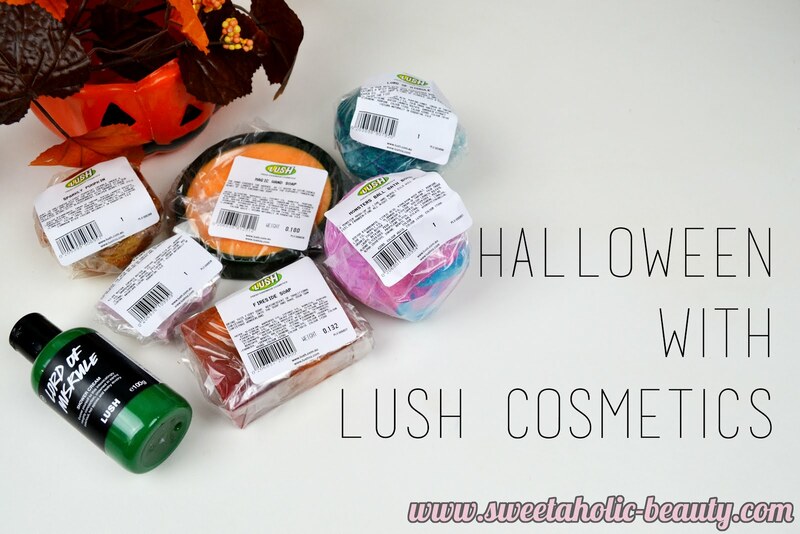 Which Lush Cosmetics Halloween product is your favourite? I was eyeing the Halloween collection for so long but they sold out at my nearest store so quickly! If you had to choose between all of them, what would you pick? How Lord of Misrule shower cream smells like? 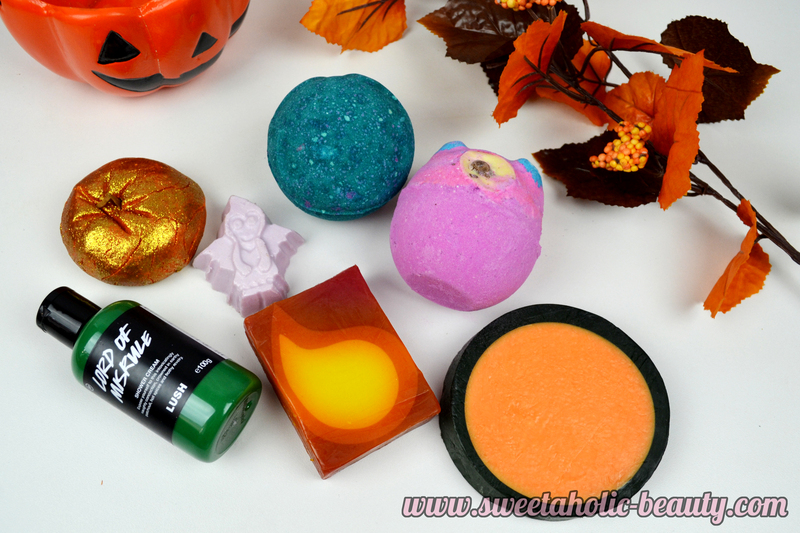 I'm so excited to head into Lush this week and pick up a few of their halloween products, they all look so good! I think the Goth Fairy Shimmer Bar looks really cute! I love visiting Lush every different holiday to buy some of the Limited Edition special occasion bath bombs and products! I love the look of the Lord of Misrule bath bomb! This is definitely a must buy for me! How cute are these! I bought a shimmer bar once, and it looked subtle and pretty on me despite my fears of becoming too sparkly!